This is one of the quickest and most delicious go-to recipes I have. I loooove orzo, if only because it makes me feel like I’m getting away with eating pasta, because it’s not in traditional noodle form. Add some spinach and chicken? A balanced meal in no time flat. This is great hot or cold. 1. 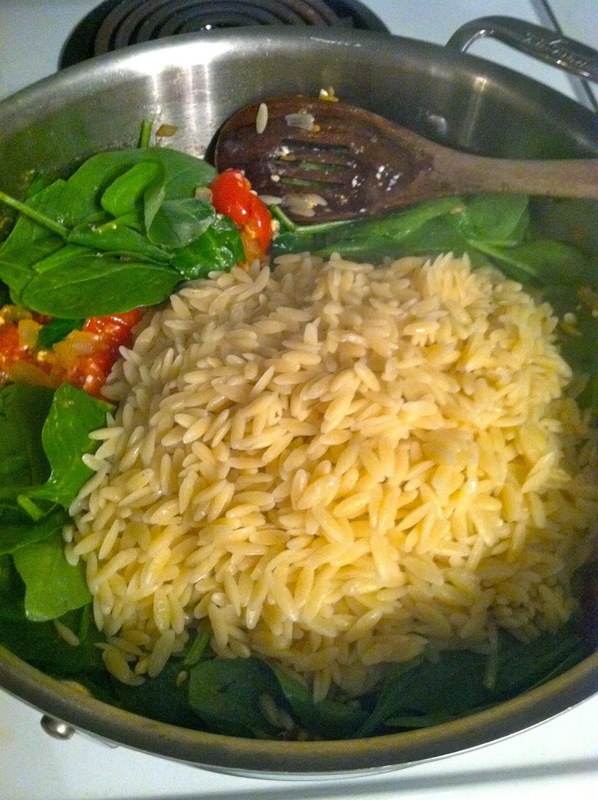 Cook the orzo according to package directions. You can do the rest of this while it’s boiling. 2. 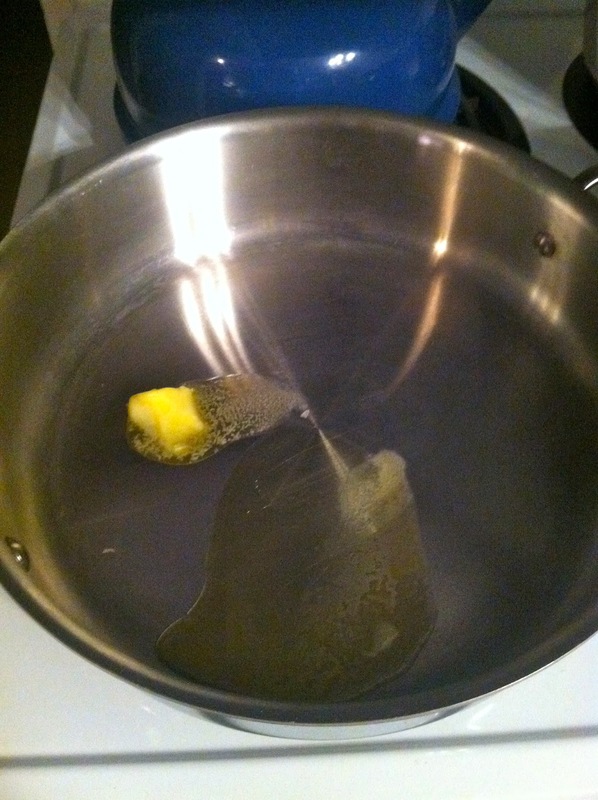 In a large sautee pan, melt butter and EVOO together over medium heat. 3. Dice the onion, then add to the butter & EVOO. “Sweat” it with a little kosher salt and pepper. Cook approx. 3 minutes, or until softened a bit. 4. Add the halved cherry tomatoes, cook until skins start to blister, stirring frequently. 5. 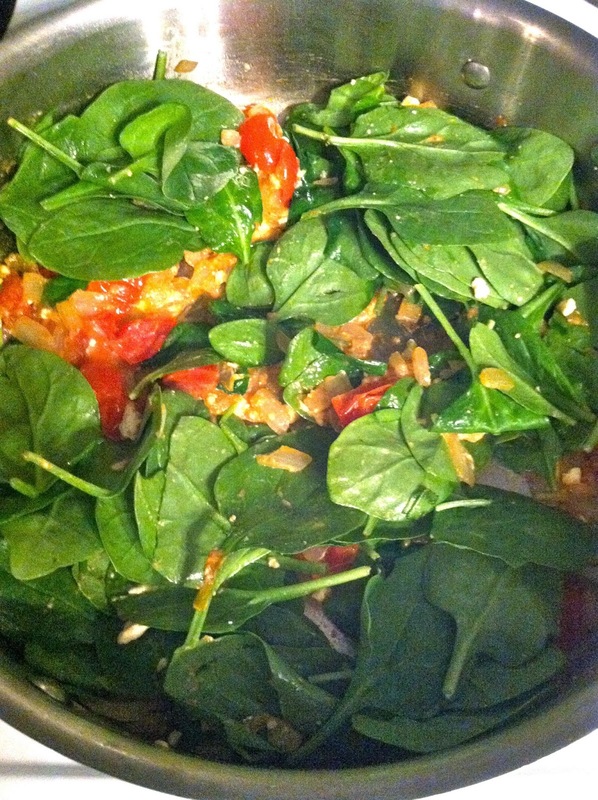 Add the spinach, keep stirring, and turn the heat down to low. 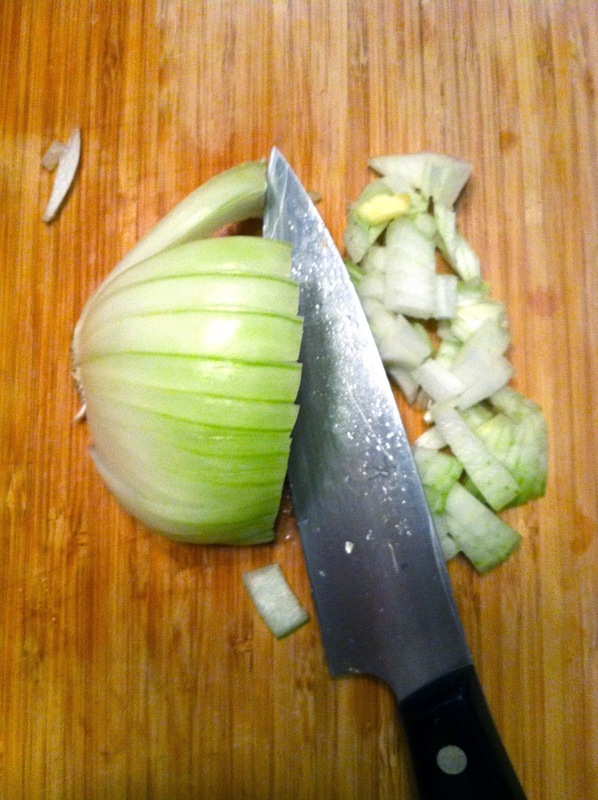 You want to start to wilt this down, but the heat from the cooked orzo and the pan should do the trick as is. 6. 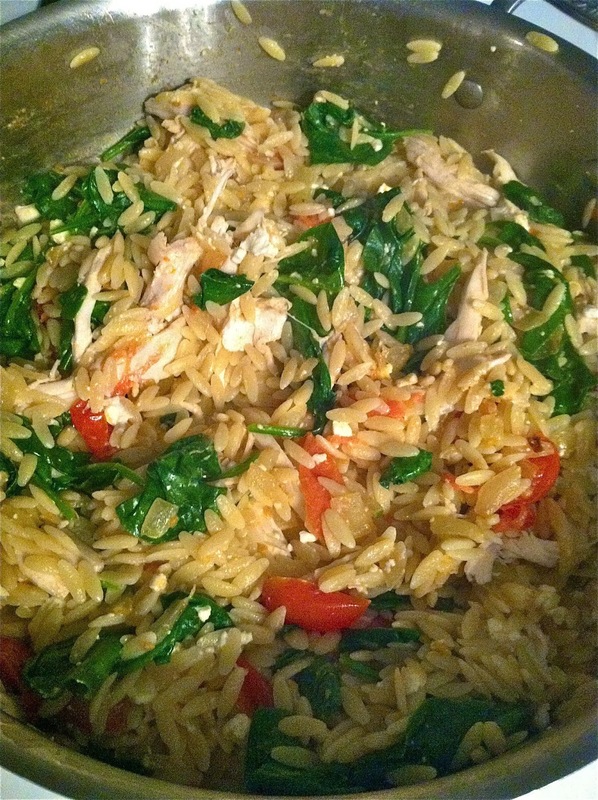 To the pan, dump in the cooked orzo, stir everything together. Add the shredded chicken and feta (or parm). Mix well. Serve. 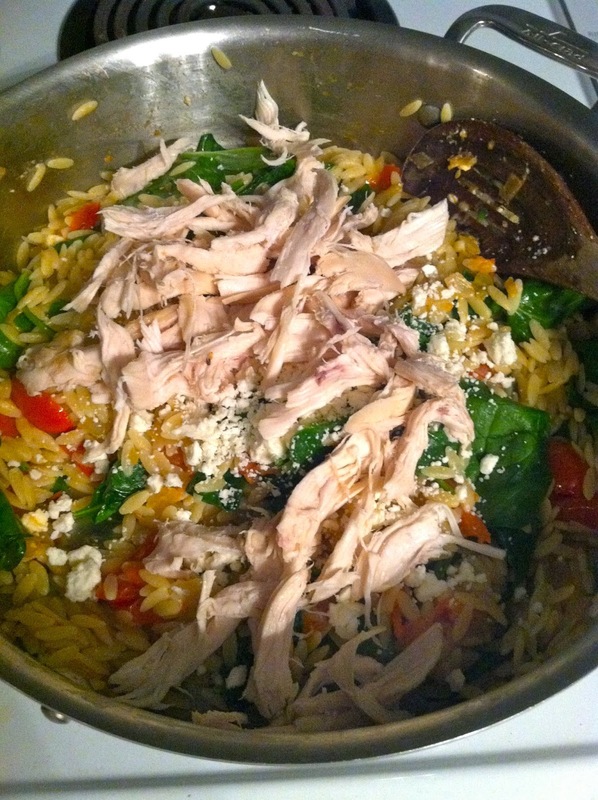 This entry was posted in chicken, feta, orzo, spinach on February 25, 2014 by westyn.